Sorry, this item is no longer available from Comms Express. Designed for large-scale businesses, RS3617xs provides high-performance throughput with comprehensive business applications. 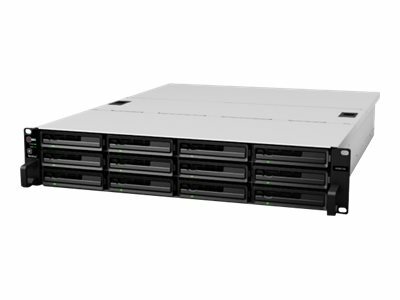 RS3617xs allows you to centralize storage, simplify data management, and deploy virtualization solutions with minimal time required for setup and maintenance. 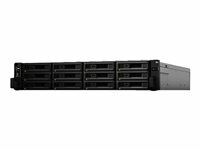 RS3617xs delivers high performance at over 3,263 MB/s sequential throughput and 333,941 IOPS under a RAID 5 configuration1 with 10GbE Link Aggregation. Equipped with 4GB DDR3 ECC RAM, RS3617xs ensures data accuracy when handling high-value data and mission-critical tasks across large-scale businesses. 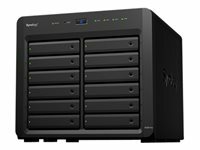 As your data storage needs grow, RS3617xs can be connected to a dedicated RX1217/RX1217RP2 expansion unit, allowing you to expand storage capacity up to 36 drives3 without disrupting service. The high-bandwidth expansion cable ensures speedy data transmission between the main server and expansion unit. Go to the RX1217/RX1217RP product page. 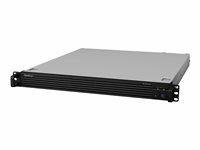 In addition to the default four Gigabit ports, RS3617xs comes with dual PCIe 3.0 x8 slots that supports up to two 10GbE Network Interface Cards (NIC), maximizing bandwidth and meeting high performance requirements for data-intensive applications. RS3617xs comes with comprehensive redundancy mechanisms to ensure business continuity. Built-in four LAN ports with failover provides the reliable redundancy in the event of unexpected network failure. The high reliability system design including fan-less CPU heat-sink and passive cooling technologies prevents single point of failure. RS3617xs is equipped with an encryption engine which offloads encryption calculation tasks away from the main CPU. Thus, the CPU can be free for other important tasks. In addition, Advanced Encryption Standard (AES) on shared folders with hardware acceleration ensures security without compromising access performance, providing over 2,612 MB/s in reading. RS3617xs enables the combination of hard drives and read/write-optimized SSD cache, boosting throughput efficiently while minimizing cost per gigabyte. 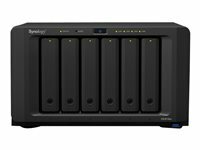 With full SSD cache reading and writing support, RS3617xs offers a significant reduction in I/O latency without crippling your budget. With only a small upfront investment, businesses can benefit from significant server performance enhancement.